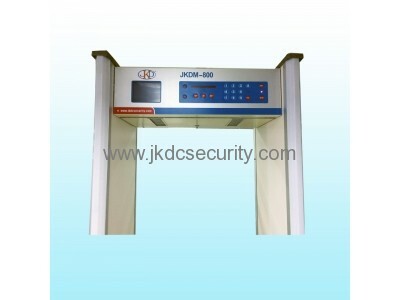 JKDC-800A is a kind of high precision walk through metal detector, adopt international advanced digital detection technology, specifically detect metal and alloy items carried by human body. 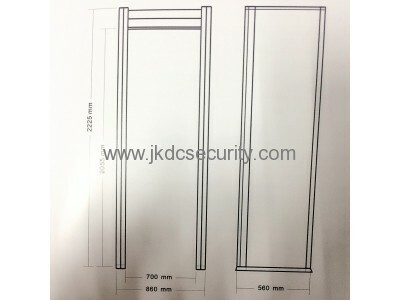 Overall design with fireproof, waterproof, shockproof, widening type design appearance, high safety, strong applicability, high sensitivity, wide detection range and good anti-interference performance, sound and light alarm at the same time can intelligent service 24 hours a day. 2. 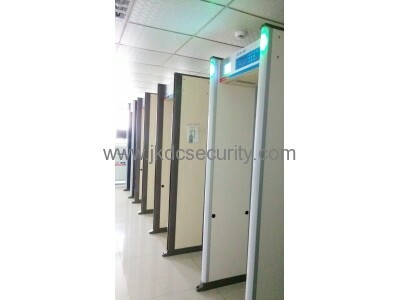 Optional 8 or 10 detection regions has high brightness LED indicator to position metals more accurately. 3. More than one doors can work together, max 20 sets doors in a group. Digital control over the computer. 4. 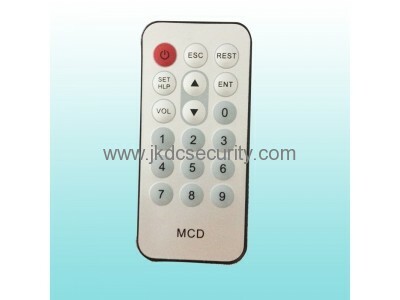 High, low, mute alarm mode can be adjusted in different occasions according to requirements. 5. 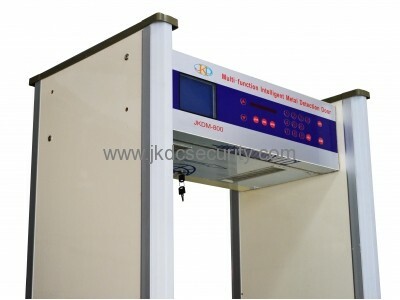 The sensitivity of each detection zone can be adjustable independently between 0-99. 7. With remote control, easy operation. 8. With modular design, easy demolition and installation. 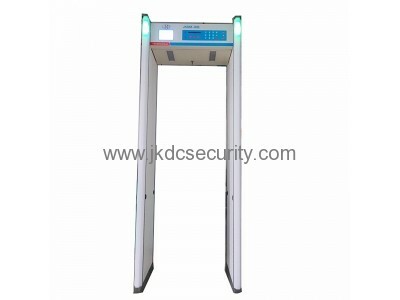 It is popular adopted in Jail house, Customs, Airport, Gymnasiums, Exhibition Centers, factory and so on.